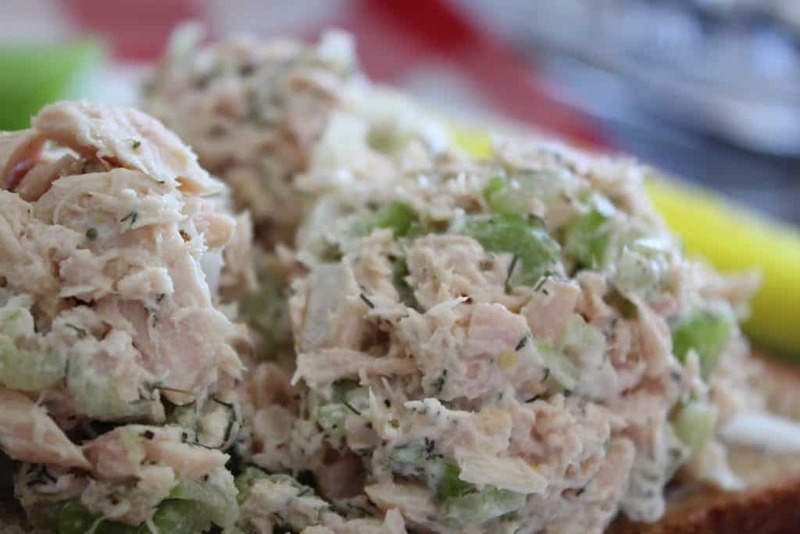 Y’all are gonna think I’m crazy writing a post about Dill Tuna Salad. I mean, heck, who can’t make a tuna sandwich, right? Well, I’ve never really liked boiled eggs in my tuna so I came up with a different spin on the traditional tuna salad. 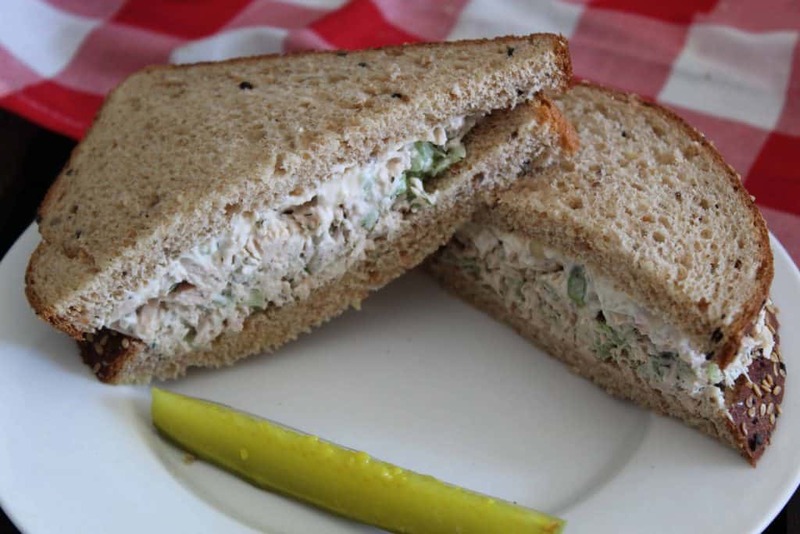 I was craving a sandwich due (to my low-carb diet) so rather than have a processed meat sandwich, I just made me an awesome Dill Tuna Salad sandwich! When I was little, my Mom would make me a tuna fish sandwich for lunch with Fritos® and pink lemonade, almost every day. I remember we’d have that for lunch before we went to Big Town Mall in East Dallas to shop. She’d boil eggs and put in red onion, celery and mayonnaise. I’d pick out the boiled eggs. She used Starkist® or Chicken of the Sea® tuna because that’s all we had to choose from back then. Today, tuna is a whole new game and there are many choices. 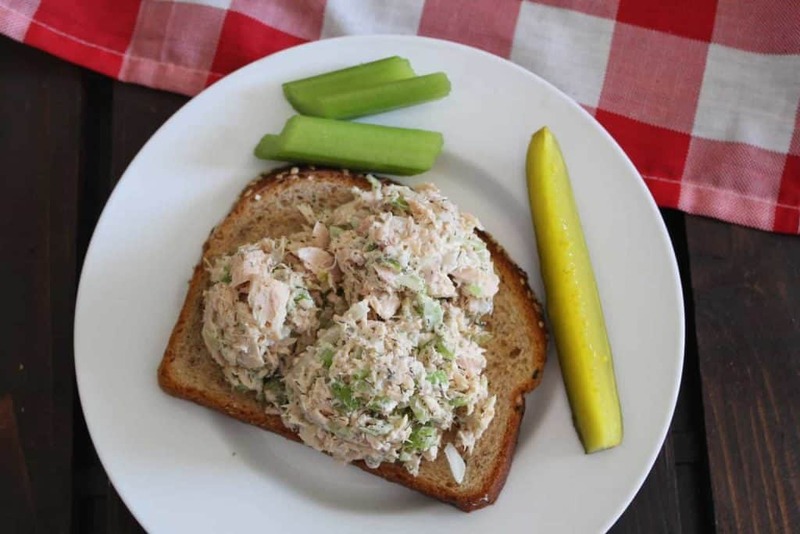 This Dill Tuna Salad recipe is based on high quality tuna, pole-caught, wild tuna packed in water. I like to use the Wild Planet® brand because there’s a lot of tuna in a 5 oz. can and not much water at all! It’s a little more expensive than the brands my Mom bought, but since I don’t eat canned tuna very often, it’s okay to splurge a little on the price. There are other reputable companies selling canned tuna at your local grocery store. You can see the brands and how they’re ranked here. Once you’ve drained the tuna and flaked it with a fork, you just add the ingredients and dig in! It’s as simple as that! Pole, or line caught tuna is a method of fishing where the fish are caught one at a time versus using the netting method, where schools of fish are caught all at once. Why is Pole or Line-Caught Tuna a Better Choice? Pole or line caught methods of fishing are far more sustainable than netting, or purse seining. Because the fish are caught one at a time, the risk of being tangled in a net is less for other sea creatures. Netting, or purse seining, catches whatever the net encompasses, and often times, this includes sea turtles, sharks, and/or dolphins. Does Pole-Caught Tuna Taste Different Than Tuna Caught by Other Methods? Interestingly, it depends on the brand. Almost all tuna producers cook the tuna at least once in the can; however, some cook it twice, add salt, oil or other additives that might alter the flavor and texture of the tuna. Most large fish, including tuna, contain some mercury. Unfortunately, mercury is a natural occurring element in the environment and it ends up in the marine food chain–bio-accumulation. Large fish such as bluefish, shark, swordfish and tuna tend to accumulate mercury more than smaller fish. For these reasons, it is recommended to consume tuna once in a while…not every day, or even every week. Does Dill Tuna Salad Require Fresh Dill? You can use either fresh or dried dill; I prefer fresh dill over dried, but have made this recipe with both and it tasted great! If you use fresh dill, you may need to use more than this recipe calls for, simply because fresh herbs are not as strong as dried herbs. 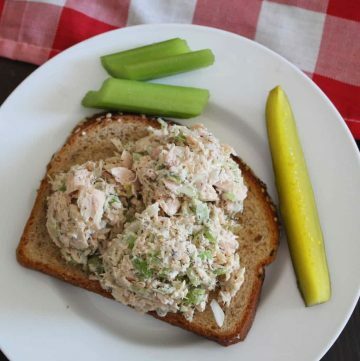 High quality tuna with onion, celery and fresh dill makes an awesome tuna salad or sandwich! Taste for seasonings and enjoy! For best results, use high quality Albacore tuna. Wild Planet is the brand I recommend, but there are others out there-just check to make sure it's pole caught, wild tuna.